A 64-year-old Winter Springs woman was struck and killed recently in a pedestrian accident on Red Bug Lake Road. The nursing home resident was using her walker for safety and stability while walking along Red Bug Lake Road around 8:45 p.m. one recent evening when she was struck and killed by a 2000 Nissan driven by a 19-year-old Winter Springs man. Accident investigators with the Florida Highway Patrol say that the driver of the Nissan was eastbound on Red Bug Lake Road near Willa Springs Drive when his vehicle struck the victim. Troopers say that the victim was wearing dark clothing and was not in a crosswalk when she attempted to cross Red Bug Lake Road. Troopers said that they don’t expect to file charges against the driver in connection with this tragic accident. The victim was taken to Florida Hospital Altamonte, where she was pronounced dead from her injuries. Recently, public officials and safety advocates have started public awareness campaigns to shed light on the scope of Florida’s pedestrian accident problems. These campaigns urge drivers, pedestrians, bicyclists and others who use Florida roadways to share the road, exercise extra caution around intersections and be mindful of everyone’s right to use the road. It is too early to tell whether or not these campaigns have made a positive impact on pedestrian accidents in the Orlando area and throughout the rest of the state, but anything that saves lives is a move in the right direction. Have you or a member of your family been injured in an Orlando pedestrian accident? If so, you should speak with an experienced Orlando personal injury lawyer like James O. Cunningham. 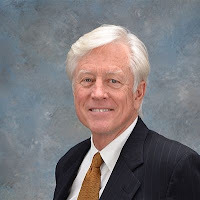 Mr. Cunningham has been using his skills, experience and resources to help injured people for nearly four decades and has a proven record of success helping them receive the fair and just compensation they deserve. Call him today at 800-425-2004 to schedule a free consultation to discuss your case.